Sustainable. Green. Eco-friendly. These buzz words are fast becoming part of our daily conversation, but are they becoming part of your daily routine? 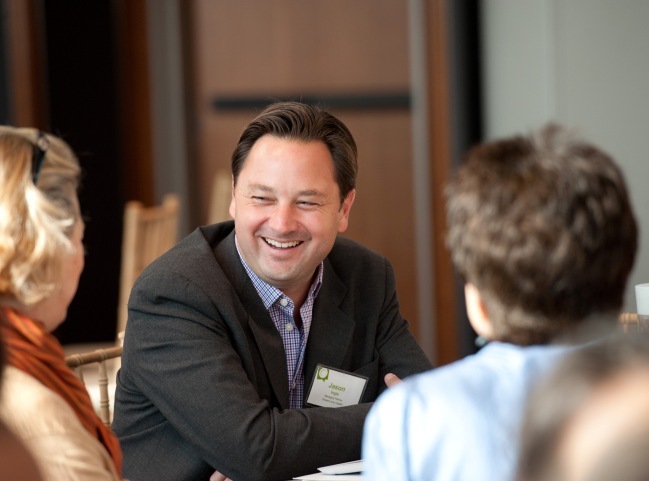 When one dissects the overwhelming task of achieving sustainability, little decisions can actually have a big impact when multiplied by billions of people. That’s why the event industry is a perfect case study for affecting change. 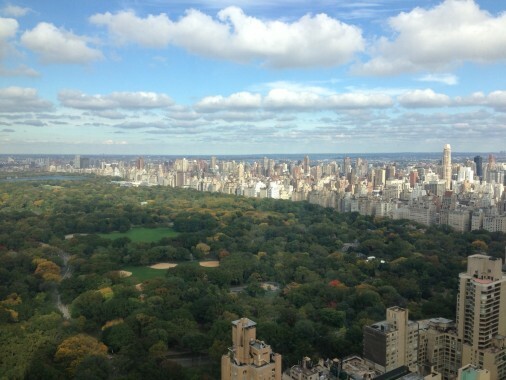 According to the International Special Events Society (ISES) NY, which hosts a Sustainability Summit each spring, the meetings and events industry is the second most wasteful industry in the U.S. after construction and demolition. (Source: EPA) They also posted the following facts on their site, showing how much little details matter. – The average meal travels approximately 1,500 miles before it reaches your table. – Using 1,000 disposable plastic teaspoons consumes over 10 times more energy and natural resources than manufacturing one stainless steel teaspoon and washing it 1,000 times. – Over a five day period a conference for 2,500 attendees will use 62,500 plates, 90,000 cans or bottles, 75,000 cups, and 87,500 napkins. 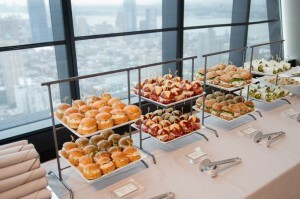 So, what is an event planner to do? 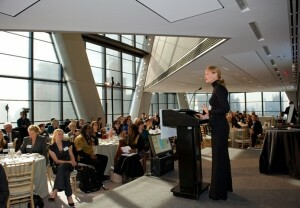 The answer oft repeated at our recent sustainability-focused event, the James Beard Foundation Food Conference and Leadership Awards, was “do whatever you can.” It was advice we took to heart, and it resulted in some fun and creative problem-solving in our office during the days and weeks leading up to the event co-hosted by Good Housekeeping magazine at Gold LEED-certified Hearst Tower. There’s nothing quite like the dramatic impact of a lush, floral arrangement for guests around the table. 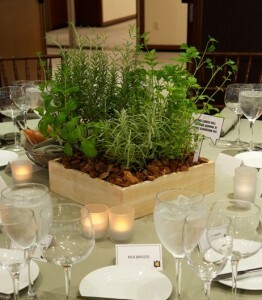 But, we challenged ourselves to create a centerpiece that honored the spirit of the event. So, for two years running, we designed living gardens that were donated to educational institutions post-event. This herb garden (pictured left) continued growing at Edible Schoolyards NYC back in 2011. 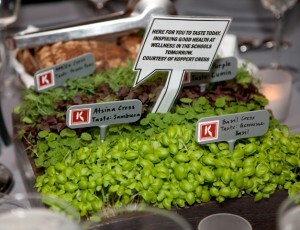 This year, guests were encouraged to taste these edible organic, micro-greens provided by Koppert Cress (pictured right), and at the end of the night, they were whisked away to P.S. 175, where students could experience a unique way to enjoy veggies. In order to raise the plants up, a secret stash of mulch is layered underneath in the re-usable containers, all donated to Wellness in the Schools. We learned a lesson the hard way in fall 2011. We had just finished a conversation about the importance of buying local, seasonal food. A speaker told a story about grocery shopping with her daughter and having to explain why they couldn’t buy strawberries anymore, because it was fall now. And, as we broke for the lunch buffet, there sat a fruit salad topped with you guessed it…. strawberries. This year, we challenged the chefs to design a seasonally appropriate menu, which included selections like fresh figs and pomegranate; wild mushroom wraps with fresh truffle ricotta, local spinach, and crispy shallots; broccoli rabe and Long Island butternut squash with spicy garlic oil, Certified Humane Koch’s Farm Turkey Breast, and Hudson Valley apples and pears. 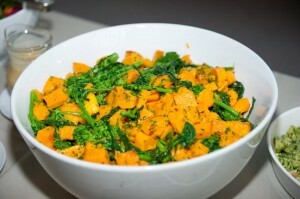 We were covered for vegetarian, vegan, pescatarian, and kosher. Our clients and their guests took note with positive reviews. 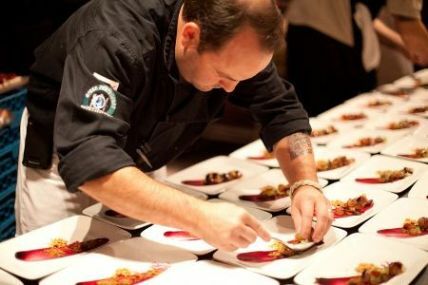 The evening Awards dinner was prepared by chefs Jeremy Barlow (tayst, Nashville) and Jeremy Bearman (Rouge Tomate, NYC). The two Jeremy’s, as they were affectionately dubbed, joined forces to create a delicious, sustainable menu. 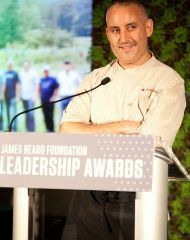 Both chefs are advocates for healthy, seasonal, sustainable dining at their respective restaurants, and each recently participated in JBF’s chef boot camp for policy change. A room full of environmentalists and bottled water is akin to oil and water. 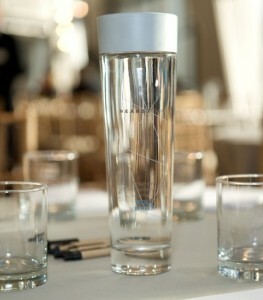 We opted to utilize Hearst’s Vivante water filtration system in refillable bottles, which offers still and sparkling. It meant a little extra work for the staff. When 175 guests were encouraged to stand up and switch tables to have new conversations, our staff needed to sweep the room and change out all of the water glasses. Part of stage management was re-setting and refilling glasses for speakers at the start of each session. But, it was worth it. 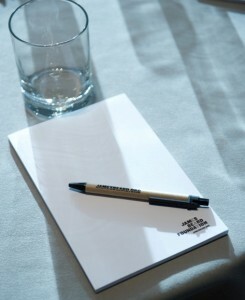 Pads and pens provided to guests were made of recycled materials. They were collected at the end of each day and re-distributed. The same was true for magnetic name badges, which we collected for re-use at future events. These little touches saved money and waste. We opted to print invitations on a recycled paper that resembles newsprint. It is FSC certified, 100% Green-e certified, and made carbon neutral. 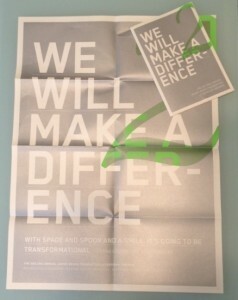 The invite unfolds into a poster with a quote from one of last year’s honorees, Debra Eschmeyer, of Farm to School Network and FoodCorps. 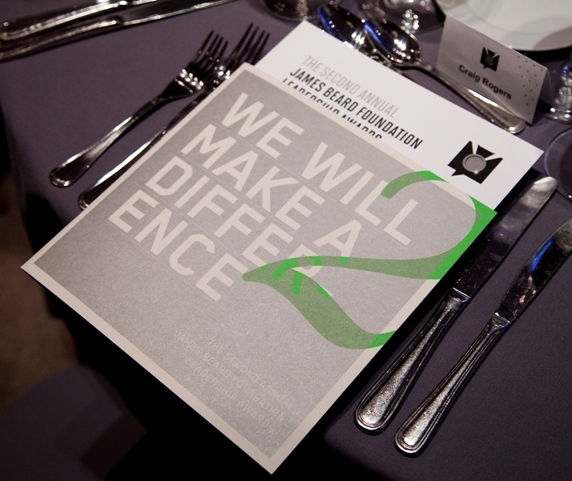 “We will make a difference with spade, and spoon, and a smile.” We’re working on it!